Brief summary of the paper: A few members of host populations, so-called superspreaders, have disproportionate impacts on the risk of infectious disease emergence and spread. Several other forms of EC exist; some of which might be exceptionally protective. 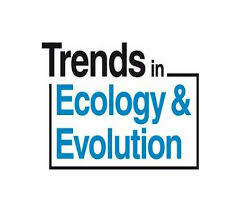 To discover and understand forms of EC, it is imperative to describe the distribution of, and covariation among, traits of individual hosts that mediate the many stages of host–parasite interactions. Here, we provide a framework to do so, emphasizing how interplay among host traits related to parasite exposure behavior, susceptibility, replicability of parasites on/in hosts, and transmissibility, comprise host competence. We hope this framework helps reveal new forms of EC and informs and improves management of disease risk. Individual hosts differ extensively in their competence for parasites, but traditional research has discounted this variation, partly because modeling such heterogeneity is difficult. This discounting has diminished as tools have improved and recognition has grown that some hosts, the extremely competent, can have exceptional impacts on disease dynamics. 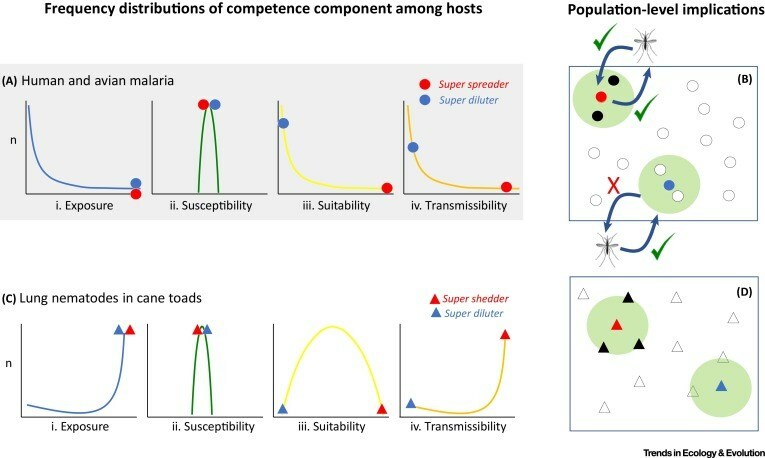 Most prominent among these hosts are the superspreaders, but other forms of extreme competence (EC) exist and others await discovery; each with potentially strong but distinct implications for disease emergence and spread. Here, we propose a framework for the study and discovery of EC, suitable for different host–parasite systems, which we hope enhances our understanding of how parasites circulate and evolve in host communities.